His route to the top of the game was unpredictable and unusual. From his humble beginnings in the township of New Brighton, Port Elizabeth, Thando grew to become one of the grittiest loose-forwards of South African rugby, despite only starting the game at the age of 16. His rise through rugby ranks, while earning a reputation as a tough-tackling lock and later open side flanker, was astonishingly rapid, especially for a player of colour at the time. Within two years of picking up a rugby ball, he represented Eastern Province at Craven Week, and by 2000 he was a Springbok. 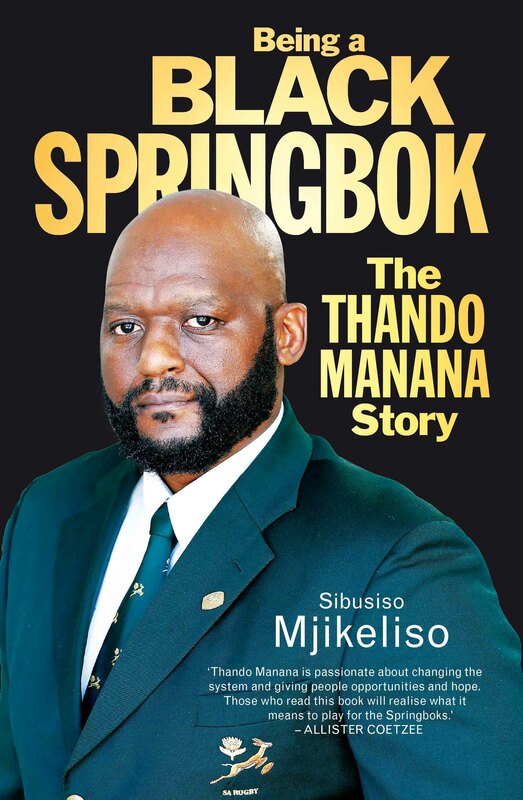 But it isn’t solely Thando’s rugby journey that makes Being a Black Springbok a remarkable sports biography. It’s learning how he has negotiated life’s perils and pitfalls, which threatened to derail both his sporting ambitions and the course of his life. As the editor of Kick Off magazine, Sibusiso Mjikeliso is one of the youngest editors of a national, monthly publication in South Africa. 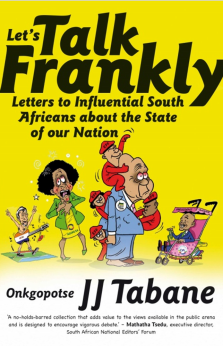 He has written on rugby, cricket, football and tennis for the Sunday Times, The Times, Daily Dispatch and Sowetan. He has also worked as the senior sports writer for Business Day. Mjikeliso spent time as an exchange reporter at the Sunday Mirror in London, where he wrote on Wimbledon tennis, English Premiership rugby as well as English Premier League football. His versatility as a writer and knowledge of different sporting codes has made him one of the most influential sports writers in South Africa. This is his first book. Proteas star batsmen and captain AB de Villiers was at the Wanderers Stadium recently to launch his new book, AB: The Autobiography. De Villiers scored the fastest century ever in one day international history at The Wanderers, so it was a fitting venue to launch his autobiography. He regaled the audience with tales of his boyhood and the different stages of his cricket career before his rise to stardom and prominence with the Proteas. There were times De Villiers didn’t know if his career would pan out, he said at the night. So confusing that De Villiers, who for a while studied Sport Science, spoke of the “drop zone” – a zone where there was “lots of beer … friends” and him driving in his mother’s blue Jetta, thinking he was “the coolest guy in the world”. Before he knew it, “six months were gone”, with De Villiers not knowing what he was doing with his life. At this stage De Villiers was still playing cricket for the second team. However, by taking his chances and utilising the opportunities he got, it wasn’t long he was playing for the first team. These are some of the stages De Villiers documents in his book. Ex-cricketer and now commentator Mpumelelo Mbangwa, who was in conversation with the star batsman, asked De Villiers about his state of mind ahead of his international debut for the Proteas in a Test match in 2004. “It was a bit crazy, playing with legends of the game like Jacques Kallis and Mark Boucher,” De Villiers said, adding that life in the national team was always a challenge. Having played just a few first-class games, playing for the national team was a mental test, and it was a lean period for De Villiers, with runs hard to come by. The batsman said he felt lucky to be playing in the first team considering his poor record at the time. De Villiers also spoke of the senior players who sternly advised him to step up his batting performance. “I was almost a servant, in my first year. I didn’t feel like I belonged performance-wise,” he said. De Villiers has gone on to play 98 consecutive Tests for the Proteas since his debut – a feat no other Test cricketer has achieved ever. Speaking of his strategy, De Villiers said: “I go with my instincts at times. I do gamble at times, like most of other captains.” He added that a team of analysts and other professionals were always at hand to assist. The next major tournament top on De Villiers’s mind is the 2019 Cricket World Cup. He hopes to lift the trophy with the Proteas. AB de Villiers will return to action in the six one-day internationals South Africa will play against Ireland and Australia from 25 September. De Villiers‚ who missed two tests against New Zealand last month with an elbow injury‚ was named on Tuesday in the squads to play both opponents. Dale Steyn and David Miller are back in the mix having last played an ODI for SA against India in Mumbai in October – 12 games in the format ago. Steyn stormed back to prominence after months out with injury by taking 10 wickets at 10.20 in just 42.2 overs against the Kiwis. He is in the squad to play Australia. Miller led the averages and was the second-highest runscorer in the quadrangular A-team one-day series in Australia that ended earlier this month. He was picked in both squads. Morne Morkel‚ whose back problem kept him out of the Kiwi tests‚ and Rilee Rossouw‚ who has not played since injuring a shoulder during SA’s tour to West Indies in June‚ are still sidelined. “Morne Morkel and Rilee Rossouw were not considered for selection as they continue to recover from injury and a lack of match fitness respectively‚ while AB de Villiers is on track to return from the injury that kept him out of the test series against New Zealand‚” selection convenor Linda Zondi was quoted as saying in a release. Temba Bavuma and Dwaine Pretorius are part of the squad to play Ireland while Andile Phehlukwayo‚ the third-highest wicket-taker in A-team series‚ will be involved in both engagements. Among those three players only Bavuma has international experience – in test cricket. “As far as Temba Bavuma is concerned we want to see what he can do in the ODI format after the extremely successful run he has had in the test squad where he has averaged 66 during the current calendar year‚” Zondi was quoted as saying. Bavuma has scored a century and a half-century in his eight test innings this year. SA squads: To play Ireland: AB de Villiers (captain)‚ Temba Bavuma‚ Farhaan Behardien‚ Quinton de Kock‚ JP Duminy‚ Faf du Plessis‚ David Miller‚ Chris Morris‚ Wayne Parnell‚ Aaron Phangiso‚ Andile Phehlukwayo‚ Dwaine Pretorius‚ Kagiso Rabada. To play Australia: AB de Villiers (captain)‚ Kyle Abbott‚ Hashim Amla‚ Farhaan Behardien‚ Quinton de Kock‚ JP Duminy‚ Faf du Plessis‚ Imran Tahir‚ David Miller‚ Chris Morris‚ Wayne Parnell‚ Aaron Phangiso‚ Andile Phehlukwayo‚ Kagiso Rabada‚ Tabraiz Shamsi‚ Dale Steyn. 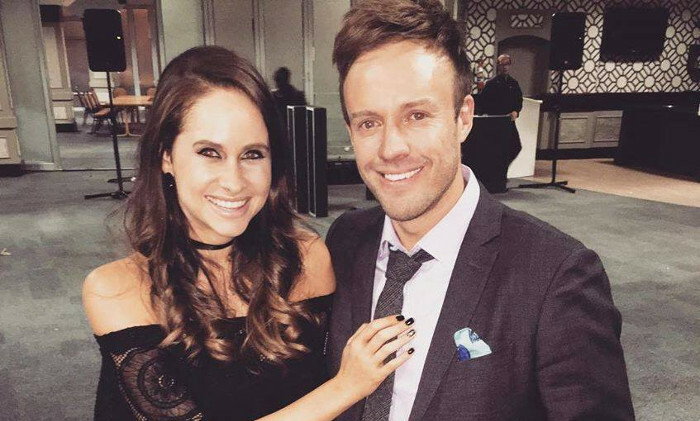 You read it here first: there are things AB de Villiers cannot do. Like get away with pretending a cricket ground is a tennis court. “It’s got to do with the tendons‚” De Villiers told reporters about the elbow injury that will keep him out of South Africa’s Test series against New Zealand‚ which starts at Kingsmead on Friday. De Villiers has missed only two of the 108 Tests SA have played since he made his debut in December 2004. If it seems like he is always playing some format for some team somewhere‚ that’s because he is. Since his first match for the North Gauteng under-19 team in December 2000‚ De Villiers has played 663 games of cricket. That’s an average of more than 41 matches a year. “It [the elbow] is not the only issue that I have‚” De Villiers said. “I have five to six niggles at the moment‚ including the shoulder that everybody knows about. “It started about eight months ago‚ but I’ve been hanging in there. I did fool myself a bit in thinking that I could just keep going and keep going and it has sort of caught up with me a bit. “Lots of things play a role when it comes to injury. I’ve definitely played a lot of cricket in all three formats‚ all over the world. It definitely played a role. As bad as De Villiers’ absence is for a Proteas team that will be intent on showing against the Kiwis that they have halted last season’s spiral of six defeats in eight Tests‚ things could have been worse. De Villiers is among the most marketable stars of world sport. He doesn’t need his salary from Cricket SA‚ who are believed to pay him 10 times less than what he earns from Royal Challengers Bangalore. Wouldn’t he uncomplicate his life significantly by retiring from international cricket? “I love playing for my country and I would love to play as long as I can‚” De Villiers said. “You’ve got to look after your body sometimes and that’s happening with the six weeks now. Hopefully after this New Zealand series I will be ready to go and will tackle the Aussies [in a home one-day series] in October. Save the date: September 25. Out in September – AB: The Autobiography by AB de Villiers! Whether he is delighting home crowds at the Wanderers or Newlands or setting new records in Bengaluru or Sydney, he plays the game in a whole-hearted manner that projects a positive image of his country around the world and also makes millions of South Africans feel good about themselves. This is AB’s story, in his own words … the story of the youngest of three talented, sports-mad brothers growing up in Warmbaths, of a boy who excelled at tennis, rugby and cricket, of a youngster who made his international debut at the age of 20 and was then selected in every single Test played by South Africa for the next 11 seasons, of a batsman who has started to redefine the art, being ranked among the world’s very best in Test, ODI and T20. Through all the pyrotechnics and consistency, AB has remained a true sportsman – quick to deflect praise, swift to praise opponents, eager to work hard, to embrace the team’s next challenge and to relish what he still regards as the huge privilege of representing his country. This is the story of a modern sporting phenomenon. The statistics tell barely half the story but, so far, AB de Villiers has scored 14 000 runs in 98 Tests for South Africa, 8 000 runs in 190 one-day internationals and more than 40 000 runs in his professional career. He is mainly distinguished by the style in which he bats and his humble, determined captaincy of the South African national team in one-day international cricket. Mtutuzeli Nyoka, former president of Cricket SA and author of Deliberate Concealment: An Insider’s Account of Cricket South Africa and the IPL Bonus Saga, has called for young Protea sensation Kagiso Rabada to be considered “as the next Test captain in the not-too-distant future”. Rabada was the focus of global attention last month after his phenomenal performance in the Protea’s fourth Test against England in Centurion, where he ensured a win for the South African team with match figures of 13/144, the second best ever achieved by a Protea bowler. Rabada is only 20 years old. Nyoka spoke to Business Day‘s Sbu Mjikeliso about transformation in local cricket and singled Rabada out as someone to watch, especially where leadership is concerned. “I’d say Rabada is not far off from being captain. He has amazing potential. He would command his place in any squad in the world. He will have a full decade to develop as a player and as a leader, if the structures, management and coaching staff back him,” Nyoka said. Former Cricket SA president Mtutuzeli Nyoka says Proteas selectors ought to take a gamble on speed sensation Kagiso Rabada as the next Test captain in the not-too-distant future. Speaking on transformation in local cricket — including the recent historic domestic first-class clash between two black African captains — Nyoka said the 20-year-old showed the right signs of leadership. “I like the signs and sounds that I hear from Rabada,” Nyoka said. “Ask yourself, at what age did Graeme Smith become captain? Pan Macmillan and The Book Revue invite you to a discussion on Mtutuzeli Nyoka’s latest book, Deliberate Concealment: An Insider’s Account of Cricket South Africa and the IPL Bonus Saga. The former president of Cricket South Africa will be in conversation with David O’Sullivan at the Museum of Military History on Wednesday, 4 November, at 6:30 for 7 PM. Join the author for a glass of wine and a glimpse behind the scenes of the scandal that shook the cricketing world. Mabalane, number one self-proclaimed “pantsula for life”, shares his journey and insights, from being a multi-platinum-selling musician, through the highs and lows of drug addiction, to finding hope and life again through running (eight Comrades Marathons and counting) and his faith. In I Ran for My Life, this 10-time SAMA award-winner, TV presenter, athlete and entrepreneur talks about growing up between Soweto and the suburbs, the back story behind his phenomenal music career, and how getting into running literally saved his life. Along with his lessons for life, Kabelo shares his thoughts and advice on staying in shape, being prepared for anything and how to build a spirit of endurance in everything you do. Kabelo Mabalane, also known by his stage name “Bouga Luv”, is a kwaito musician, songwriter and actor. He is a member of the kwaito trio TKZee. Kabelo owns Faith Records, a South African independent music company, and is the co-founder of ShoutSA. He was the host of the popular television show Kabelo’s Boot Camp and has also been a judge on SA’s Got Talent. He lives in Johannesburg with his wife and baby daughter. Nechama Brodie is a veteran journalist, bestselling author and part-time musician. Her work has appeared in the Sunday Times, Mail & Guardian, City Press, the Business Day magazine, Wanted, and Men’s Health where she writes extensively about health, wellness and nutrition. Brodie is a recreational runner, occasional boxer and holds a black belt in Karate. Mtutuzeli Nyoka, former president of Cricket South Africa and author of Deliberate Concealment: An Insider’s Account of Cricket South Africa and the IPL Bonus Saga, was recently interviewed by John Perlman on Kaya FM about his ruminative exposé. Perlman introduces the book as one about a great scandal in the world of cricket that also “raises all sorts of other issues, about race, about history, about transformation, about acknowledgement of personal difficulty and fault”. Nyoka says that his story and the deception he was victim to was “beyond process” because he took a good friend at his word. He does not understand how Gerald Majola could allow the destruction and damage to relationships for monetary gain. He calls it “betrayal of the worst kind”. Telford Vice recently interviewed Mtutuzeli Nyoka about his memoir Deliberate Concealment: An Insider’s Account of Cricket South Africa and the IPL Bonus Saga for a Sunday Times article. In the interview, Nyoka speaks about his soured relationship with Gerald Majola, his close childhood friend who also turned out to be a corrupt beneficiary of the bonus scandal that threatened to tear South African cricket apart a few years ago. Nyoka is grateful for the long friendship he enjoyed with Majola, as they grew up in the same neighbourhood and shared many significant moments. However, when the corruption Majola was involved in was uncovered, Nyoka says he realised “our values were irreconcilable, and events left us little choice but to be on the opposite sides of a protracted and dirty conflict”. 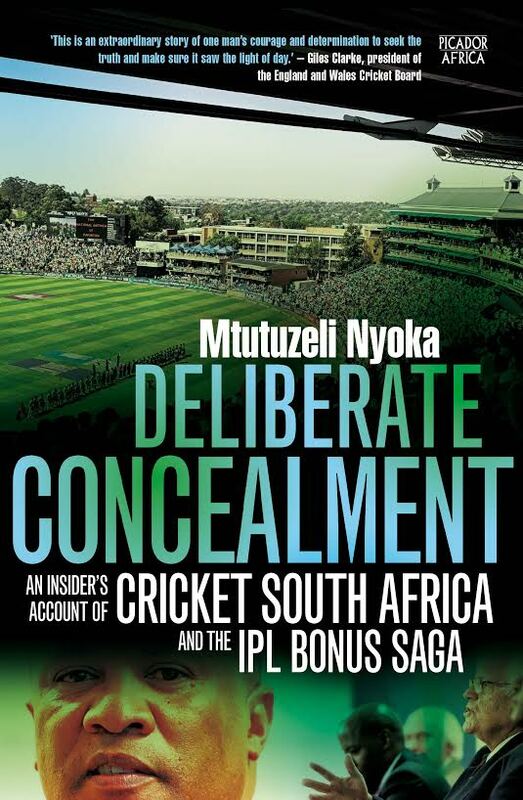 In Deliberate Concealment: An Insider’s Account of Cricket South Africa and the IPL Bonus Saga, Mtutuzeli Nyoka – at the time Cricket South Africa’s (CSA) whistle-blowing president who took the lead in exposing the controversy – details dirty dealings in other administrators’ attempts to weasel their way out of trouble.